Feather light cremes have been used in Africa for hundreds of years to beautify hair. 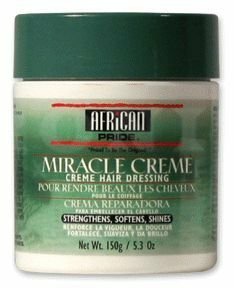 African Miracle Creme will strengthen, condition, and rejuvenate natural, relaxed or braided hair. Breakage, split ends and dryness are a thing of the past.